For our Canvas anniversary, Megan and I celebrated in style at Terrain, the Palo Alto Anthropologie cafe. It was a fun treat for a light bite post trend shopping and to a take moment to be inspired. Megan recommended ordering the pistachio hummus and I'm so glad she did! We were both instantly smitten. This spurred a little online research on my part to try and recreate it at home. 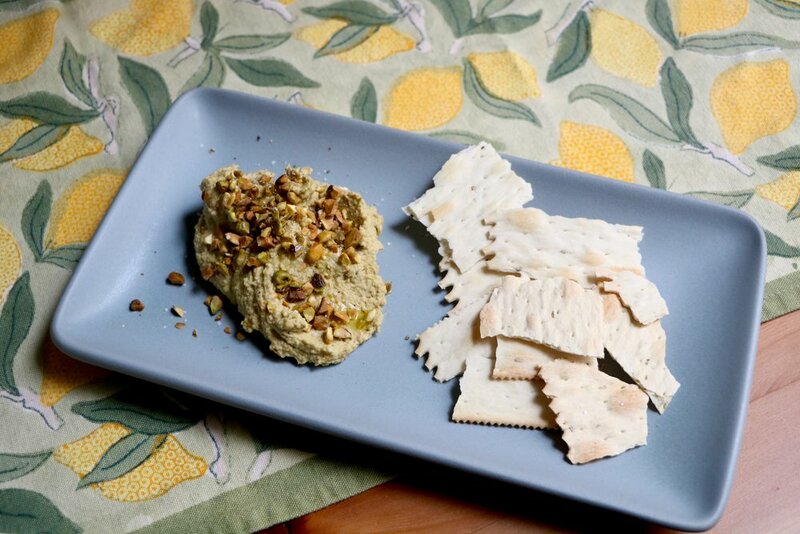 The recipe below is based two trial versions of Pistachio Hummus I made inspired by a traditional hummus recipe and infused with pistachio goodness from a SF Local, The Healthy Maven. I opted for Meyer Lemon juice for spring since it's a little softer on the delicate pistachio flavor and upped the pistachio and garlic quantity to enhance the flavor. The Antro Hummus version had a little more water, oil, and parmesan for a smoother consistency. I have a few non-dairy friends, so I wanted something everyone could enjoy, but feel free to adopt the recipe according to your taste. In a food processor add garlic cloves pulce until diced. Add 1/2 cup pistachios, olive oil and HALF of water. Process until a creamy paste is formed. 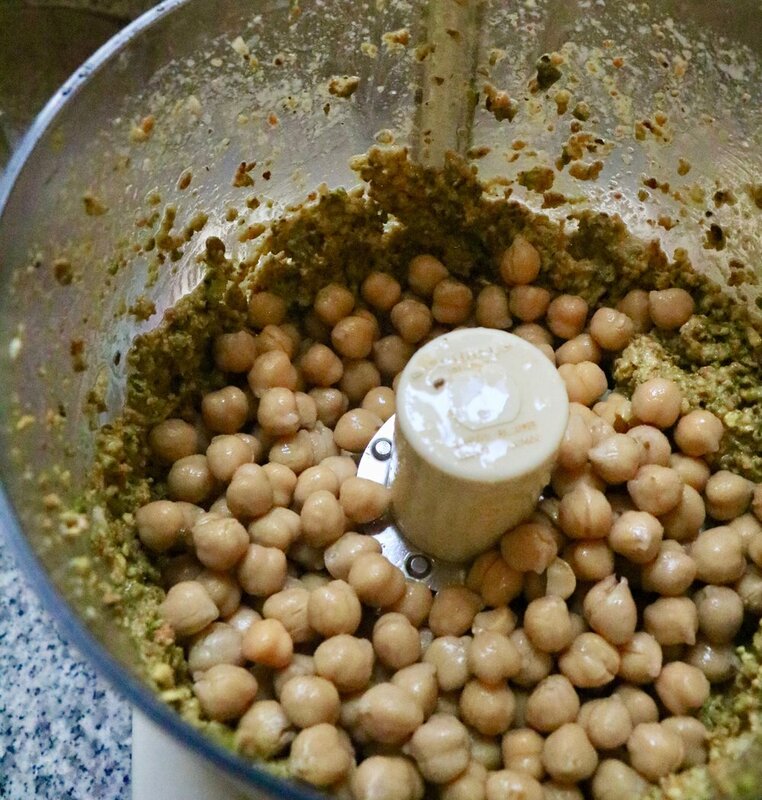 Add in chickpeas, Meyer lemon juice, Tahini, the remainder of reserved pistachios and water. Process until a smooth and fluffy consistency is reached but you can still see flecks of pistachios. Serve with a sprinkling of chopped pistachios and drizzle of olive oil. Serve with pepper flatbread, lavash, veggies or a side of strawberries. Recipe makes roughly 2 cups. Posted on April 11, 2018 by Kimberly Gant and filed under Stylish Living and tagged pistachio hummus spring recipe fresh food terrain Anthropologie.